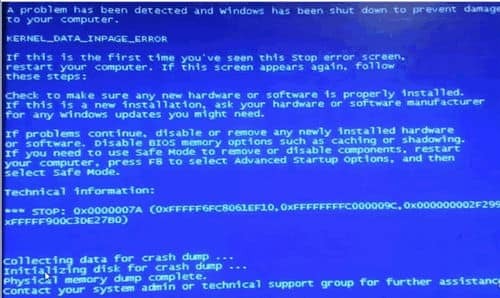 BSOD or Blue Screen of Death is a very well-known type of error in Microsoft Windows. 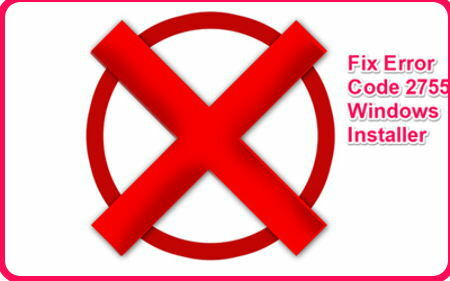 This error can be caused due to several possible reasons no matter which version of Windows you are using. Not only that but this error also restarts your PC whenever it occurs in your PC which can even delete unsaved files in some cases. Every time the user gets a BSOD or Blue Screen error, it also displays an error code which explains the possible causes for the error in your Windows 10 PC. 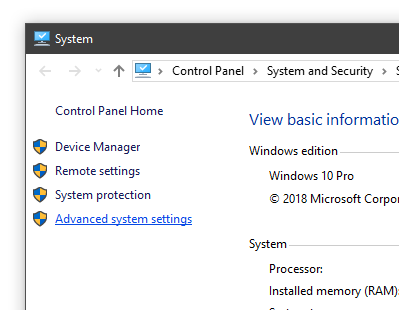 And today we are taking a look at the Physical Memory Dump Blue Screen of Death error in Windows 10 computers. 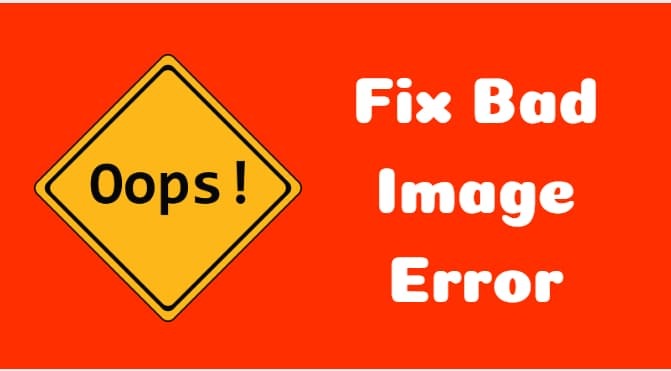 We will be going through all of the possible fixes for this error as well as the reasons which might be causing this error in your PC. What is Physical Memory Dump BSOD Error in Windows 10? For those of you who are not advanced users and don’t know much BSOD errors, let us tell you more about the Physical Memory Dump Blue Screen of Death error in Windows 10. As you might have guessed by now, this is a blue screen error which is related to the memory of your PC. In such a blue screen error, Windows 10 will dump all of the data stored in the physical memory of your computer that is the RAM to your hard drive. 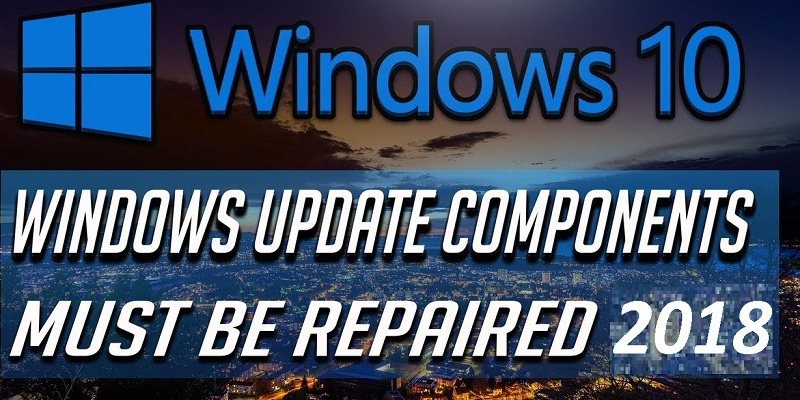 While you can analyze these dumped files afterward, it can still be quite frustrating and thus fixing this error is quite important so that you don’t face BSOD errors in Windows 10. How to Fix Blue Screen of Death Physical Memory Dump Error? 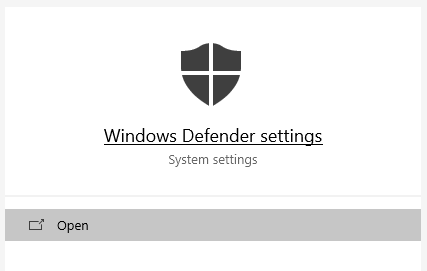 First right-click on the This PC icon on your computer’s desktop and select Properties. After that a new window will open in which you have to select Advanced system settings from the left side menu. 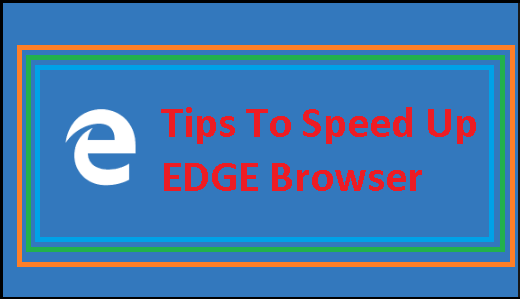 Inside these properties, go to the Advanced tab and click on Settings under Performance section. Now, go to the Advanced tab in this newly opened window and click on Change. 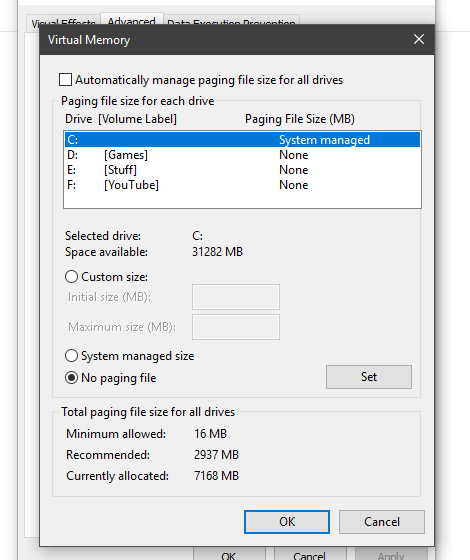 After that deselect the Automatically manage paging file size for all drives and select the No paging file option. 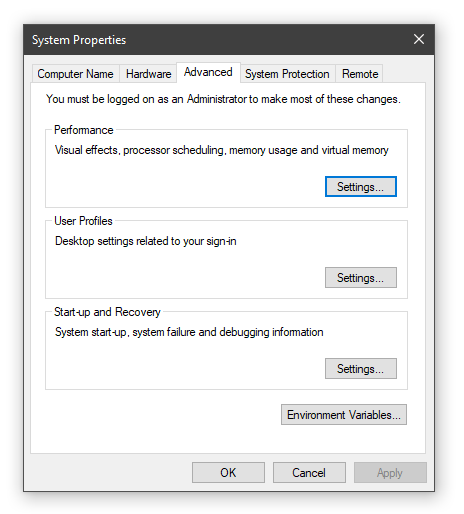 Finally, click on OK to save these settings and restart your computer to successfully reset the paging file in Windows and fix the Physical Memory Dump issue. 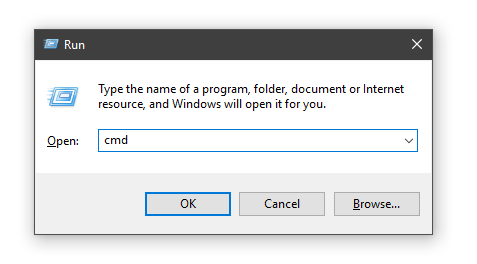 First, open Command Prompt on your computer by first pressing Windows Key + R on your keyboard which opens Run inside which you have to type cmd and press enter. After that, type CHKDSK C: /F /R and press enter. Now follow this command with SFC /scannow and press enter. Once you have entered these commands, the Command prompt will then check for any broken system files and then fix them. 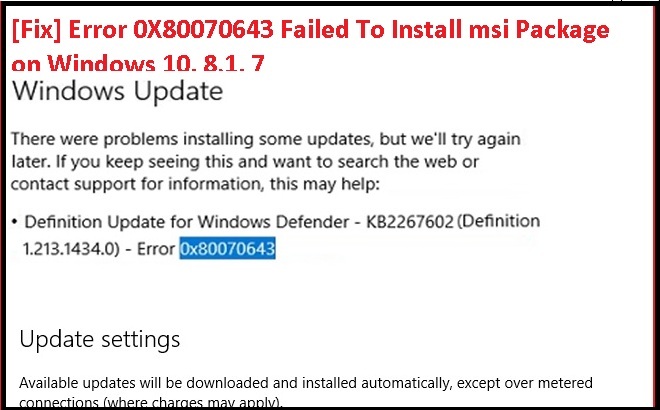 This will ensure that the BSOD error is not caused due to broken system files of Windows of your computer. 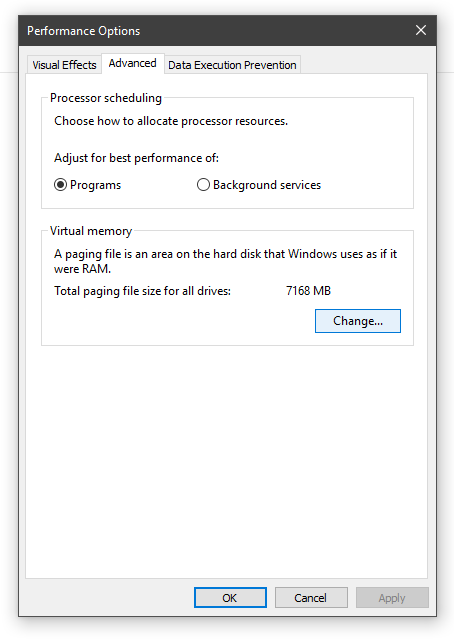 In case if you like to play around with your computer and decided to overclock your PC’s processor to have an extra performance boost, chances are it is causing some issues with your computer. If you’re an experienced overclocker, then chances are that you already know that an unstable overclock on the CPU can result in several BSOD errors. Similarly, you might be facing the Blue Screen of Death Physical Memory Dump issue on your computer due to an unstable overclock. In such a case you should try either removing or changing the overclock settings in your computer’s BIOS in order to achieve processor stability. We hope that you’ve successfully fixed the Blue Screen of Death Physical Memory Dump error in your Windows 10 PC. We are pretty sure that at least one of the fixed mentioned above has worked for you and you’re not facing the Physical Memory Dump BSOD error on your computer. In case you liked this article, then make sure to share it on social media. If you have any doubts regarding any of the solutions, feel free to ask any queries in the comments section below.